LaRae Quy worked as an undercover and counterintelligence FBI agent for 24 years. She exposed foreign spies and recruited them to work for the U.S. Government. Now she speaks and writes on leadership and empowerment. Her book, Secrets of A Strong Mind, is available on Amazon. Visit her blog, Empower the Leader In You, or follow her on Twitter. We live in turbulent times. If you and I are to overcome the obstacles in our way, we’re going to need a strong mind. No matter the circumstances around us, we will need to rely upon the mental toughness we normally look for in our heroes, not in ourselves.We admire heroes like Robin Hood and James Bond because they embody the characteristics that we’ve valued throughout the ages. Heroes let us feel what it’s like to have the mental toughness to break out of our boring little existence and enter into a much bigger world—one that is full of possibility. I define a strong mind as having a great capacity to face challenges. Being strong means having the resources, the mental skills, and the physical capabilities to confront difficulties of all kinds. When a person is strong-minded, they have the energy and stamina to face a challenge without being robbed of inner strength. Mental toughness gives us the courage to grow from the stress we experience in life. It is a mindset comprised of several qualities and attitudes. Well, maybe the characteristics of a hero aren’t so secret after all. But how can you and I harness their power and create the strong mind that is the trademark of those that live large in a world full of possibility? If you are strong-minded, you express these attitudes and skills on a daily basis, no matter what is happening in your life. Some people may naturally be more mentally tough than others, but the good news is that you can learn to become even stronger. When I took the physical fitness (FIT) test at the FBI Academy I was the 1 percent that makes the top 99 percent possible. I failed miserably, so my challenge became twofold: maintaining confidence in myself while training to pass the rigid FIT test. My confidence plummeted. I worked with a coach at the Academy and he taught me the secret to building confidence—small steps. By taking steps so tiny that they seem trivial, you can sail through obstacles that you never thought you could defeat. Slowly, you can cultivate an appreciation for the small improvements when they happen. Success builds upon itself, and slowly, it lays down a permanent route to change. Small steps are concrete. Mountains are climbed one step at a time, not by giant leaps. We are less likely to feel out of control if we can locate the smaller problems within the larger situation. My coach encouraged me to acknowledge the small accomplishments and savor them before moving on to the next. TIP: Confidence is a belief in yourself and your ability to meet your goals. The fear I felt did not weigh me down but deepened my resolve. A strong mind is not built on something that is slapped together on a shallow foundation. It needs solid rock—like a skyscraper, the higher you want to go, the deeper you must go. 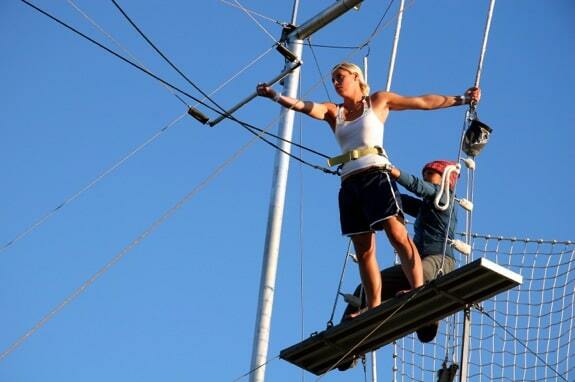 TIP: Courage is the tendency to see life’s obstacles as challenges to be met rather than threats to be avoided. In the deepest part of me I knew that I would make the FBI my career. It wasn’t a stepping-stone to something better that might come along. I was a disciple of my own deep values and beliefs. I had the will to subjugate my feelings to those values. People are often unsuccessful because they lack commitment to their deepest values. Competence is not an inherited trait, like blue eyes. Competence is the result of working hard and concentrating on bringing about the desired result. No one succeeds overnight; failures do not happen overnight, either. A person who is fully committed can find a creative solution to almost any task. To be in control means that, through personal struggle, you can find ways to empower yourself and influence both the direction and outcome of your own life. A strong mind shuts out feelings of fear and inadequacy and focuses on reaching the goal. I learned a great deal about developing a strong mind in firearms. As a shooter, I employed many of the contemplation techniques I used in prayer; emptying my mind of extraneous thoughts and keeping my mind’s eye focused on one thing—the target. And then I narrowed the focus even further so my total concentration was on one thing—the thing immediately before me. Once your mind is quiet, you can challenge the beliefs you hold about yourself that are false or can be changed. Athletes will not improve their performance unless they reach for the goal that is beyond their grasp. If you settle for mediocrity in yourself, that’s what you’re going to get, so don’t be surprised when your response is not what you had hoped it would be. Challenge the beliefs you hold about yourself and enlarge your territory. TIP: Control is having a certainty that you are able to shape your destiny rather than passively accepting events as they come along. I learned from my firearms instructors that if you aim at nothing, you’ll hit it every time. Live your life with a purpose. No matter how many major changes and transitions you go through in your life, if you rely upon guiding principles and values that are important to you, they will always give your life meaning. TIP: Strong-minded people have a dedication that comes from a purpose that’s in alignment with their deepest values. The five elements of a strong mind are not only for heroes—they are for people like you and me, people who are struggling through the tough times, so we can savor the good ones. Toughness is in the spirit and soul, not the muscles. Building a strong mind is a lifelong task. It will not only pay off when obstacles are in your way, it will become habit, and eventually a part of your identify. Be Strong! Questions: How do you approach difficult situations? What has been most helpful to you in developing a strong mind? How do you differentiate between hardheaded and strong-minded? You can leave a comment by clicking here.